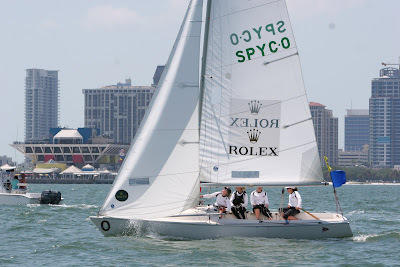 St. Petersburg, FL: After day one of racing, our team finished the day with 7-0 at the 2009 Rolex Osprey Cup. 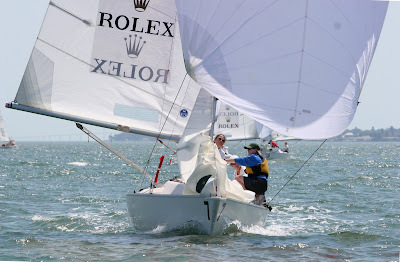 It was a great day of racing with steady winds from 6 - 10 kts. We had some very exciting pre-starts and made a couple of silly mistakes, resulting in two penalty flags. But we managed to exhonorate ourselves successfully. 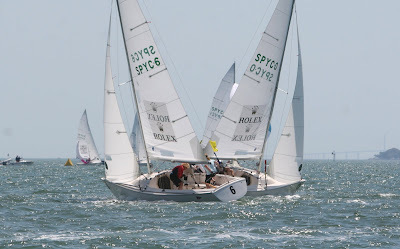 It was a good day for us all to get our heads back into the game of match racing. Our last race of the day was against Samantha Osborne, from New Zealand. We had an even start with Samantha, with her to leeward of us, off the line. In the light and choppy conditions, she edged out on us slightly. We tacked away and she tacked with us. We worked up to her and slowly got to the point of pinching her off, but it was right on layline to the windward mark. We held on to being overlapped to her into the mark, but we sailed high of the mark outside of the zone and when we turned down to the mark, she was ahead of us. Downwind, we closed up the gap as we managed to get onto her wind, but again it resulted in us rounding right behind her at the mark. Upwind, we sailed a great beat which enabled us to get a piece of her at the top mark, forcing her to tack before she rounded the mark. We rounded the top mark in the lead, sailed fast and held onto the lead for the finish. It was a great way to end the day. We have two races left tomorrow morning to finish this round robin before we start the second round. The forecast for tomorrow is similar to today, so we should get in a lot more racing. 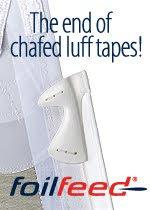 Check the results here.